Dr. Venghaus was wonderful, with a kind and calm bedside manner. He took time to answer all my questions and offeredoptions for any follow up questions I might have after the appointment. I'd absolutely recommend him. Dr. Venghaus was wonderful, with a kind and calm bedside manner. He took time to answer all my questions and offered options for any follow up questions I might have afterthe appointment. I'd absolutely recommend him. Thorough review of my medical history, complete physical examination, professional and friendly. Highly recommended. Owner and physician at Thrive Medical Clinic. Dr. Venghaus has been practicing medicine for over 6 years, specializing in Internal Medicine. He previously worked in the Texas Medical Center in Houston. Dr. Venghaus spent much of his time treating patients at St. Luke's Hospital, Ben Taub Community Hospital, and the Veterans Affairs Primary Care Clinic before moving to Austin in 2016 to practice Internal Medicine at St. David's Hospital. His experienced background allowed him to gain knowledge and skills for treating even the sickest patient in the Intensive Care Unit to following up with patients in clinic to provide the best care possible. In 2018, Dr. Venghaus opened Thrive Medical Clinic with a focus on Internal Medicine and Integrative Care. Personalized medical care and spending extra time with his patients is a key aspect of the clinic. He is accompanied by his soon-to-be wife. Her focus specializes in mental health and well-being as a Marriage and Family Therapist. Dr. Venghaus trained at the prestigious Baylor College of Medicine. Exceptional Primary Care Physician, VA Hospital 2016. Clinton Global Initiative award for his work to aid in clean water in Haiti 2014. Knowledgable and Helpful. Felt very comfortable with him as my Physician. Wonderful. Very attentive and professional. Doctor Venghaus is an exceptional doctor. I really appreciate how he took the time to explain what the possible diagnosis was and then walked through the symptoms with me to narrow it down. He was very thorough and listened to allof my concerns. He was also able to run a few tests right there in his office, so I left knowing what was affecting my health and how to improve it. I would highly recommend this doctor. Very thorough and willing to spend the extra time with you. Gives an unbiased professional and very educated medical opinion within the 15-25 min he has with you. I feel here in the near future this medical office will be reallybusy due to the Drs expertise and willingness to go over every detail with the patient. This was my first visit with Dr. Venghaus. He was incredibly kind and seemed genuinely interested in my medical history, current welfare and how things are going more generally in my life. I left feeling like I made the right choice for a new physician. The doctor was highly attentive and polite, I recommend him. He is awesome. Quite enough to hear what the patient says and took time to explain why is this happening. Good diagnostics. He was very professional and helpful. Was recommended to me and I would in turn recommend him to anyone that asked. Dr. Venghaus was great! Very engaging, polite and seemed to be genuinely concerned with my well being. I have been to doctors in the past that rushed me out as if to be more interested in my office visit payment. Dr. Venghaus was very professional, helpful, efficient, and kind. I would definitely recommend him as a PCP. Dr Venghaus was incredibly kind and attentive. Glad to have a great PCP in ATX. Dr. Venghaus was attentive and has a willingness to help. Those are two things I’m really appreciative of. The nurses were wonderful, and Brad was very knowledgeable and friendly. Great experience!! I was very happy with my visit and the staff. I was seen exactly at my appointment time and the doctor was in almost immediately after my vitals were taken. Great experience! I’m sending my husband here also. Great service, seen quickly. Very knowledgeable and great bedside manners. I can’t say that I’ve ever had a doctor respect my own knowledge, let alone build upon it, leading us both to be on the same page when it came to whatever my affliction happened to be. Dr. Venghaus changed that.Polite, courteous, and knowledgeable, with a staff just a nice to back him up. Dr. Venghaus and his staff has been awesome to work with. Their team does a fantastic job and make the process of visiting the doctor enjoyable! All in all, I highly recommend Dr. Venghaus and his team! Awesome doctor, great experience, friendly staff. The staff was very friendly and helpful and Dr Venghaus was so kind and patient. He Helped me understand what was going on and was very considerate. Dr Venghaus was great- he listened to my questions and discussed my concerns. We even emailed post appointment when I had concerns about taking medication (I’m very sensitive to pharmaceuticals). One of the kindest most thoughtful doctors I’ve seen! Dr.Venghaus was very helpful and listened to all my questions and concerns. Dr. Venghaus was very nice and very informative. He seemed genuinely concerned and made sure I understood all of my treatments. He made me feel very comfortable. He was very knowledgeable about my condition and helped me learn new information. I highly recommend! Dr. Brad Venghaus was very kind and didn't make me feel nervous about being there. Also, the people at the front desk were friendly. Really nice staff. Office was easy to find, and was very clean. Dr. Venghaus was very nice and helpful. Easy to talk to. Amazing bedside manner - I felt heard and all of my concerns and questions were addressed. I could not recommend Dr. Venghaus more! He and his staff are wonderful. I'm so glad I've found a new primary doctor that I trust and like! 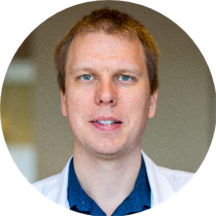 Very humble and knowledgebale doctor. He explains your issues and methods of recovery in ways thats understandable and also explains the reason your body is acting up. Also he ensures all questions are answered. Awesome visit. Not hurried,Patient, and listens to what you have to say. Answered all my questions. Very pleasant staff. As a healthcare professional I’m a hard critic, I know what is expected of us, and an exceptional level of care was provided by Dr. Venghaus. He listened to me as a partner in my care, not just as a recipient.He offered suggestions to help me both financially and to maximize the efficiency of my time. He understood my unique situation with a traveling work schedule and was determined to make it work. He knows technology, and how to make use of it in medicine. His sincerity is genuine, and I look forward to working with him in the future. Dr. Venghaus is concerned, compassionate and highly skilled, both when treating inpatients and when following his patifents in his office . He engages patients and makes them equal partners in their care. Extremely professional. Dr. Venghaus makes you feel comfortable with how he will diagnose and treat you. I didn't feel rushed or judged at all, and felt comfortable discussing my health with him. In addition, prescriptions and lab results are handled electronically so you can check the status any time. Quick visit but he was attentive enough. Would recommend. He even gave me some insight into testosterone testing. He was a very well-spoken, knowledgeable doctor. Dr. Venghaus is great is every single way. I’m so thrilled to have found such a wonderful doctor. He was excellent. Would 100% recommend. He made feel good about what I thought I needed and also kept me the calm the entire time. Great experience. Terrific doctor. Sits down and talks with you about your health. For me he did my EKG himself. After my physical he discussed treatment options. Very impressive. Dr, Venghaus is one of the best doctors I have ever come across . My experience was excellent and I’d happily recommend him for best care. I felt so comfortable with Dr. Venghaus. He took time to answer all of my questions, did not make me feel rushed at all, and was very professional and attentive. I was very impressed with his staff as well, everyone isso kind and courteous. I very highly recommend this doctor!